It was called the revenge episode and finally ended as a dance. 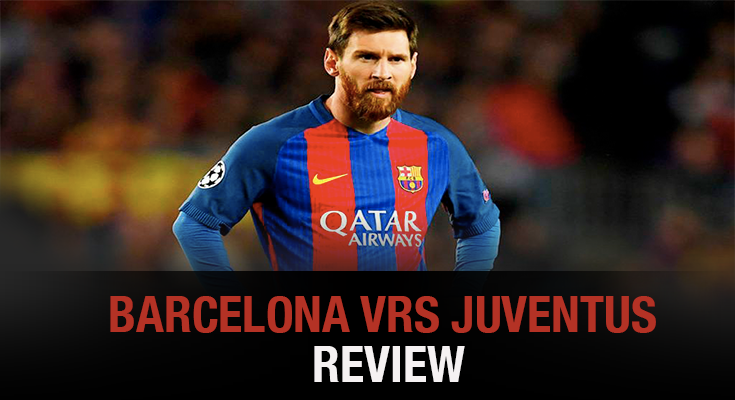 Barcelona met all the expectations and Juventus all frustrations. Dybala and Higuain were slow, Messi and Suarez very tuned. On the last champions league, Juventus sent home Barcelona on the quarterfinals, enough reason for a winner team to smash the other and play like they did today. Douglas Costa was the only man for Juventus with good energy and action. Dembele is still adjusting to the team and got in the official lineup but was replaced by Sergi Roberto on the second half. Rakitic gave the chance to Paulinho. At the end, Barcelona leaned the balance to their favor. Five goals in two games, Messi is on fire. The only regular game was for Argentinean game against Venezuela and Uruguay. Regular because was running all the field and had just a few chances of scoring since he is charge of putting the pass. At this point, no effective associations with Dybala nor Icardi. Actually, Dybala just stated that it is too complicated playing right next to the best soccer player. This is the first time Messi scored against Buffon, yes that`s true and also hard to believe. Maybe, the best offensive line is gone, Messi`s game is still on. As Bleacher Report tweeted: “ Lionel Messi makes even the best defenders look small”. Two big scandals appeared on this game, the fourth goal was cancelled and Pique`s hand inside goal area was absolutely obvious. No major changes to the scoreboard. Quite interesting that UEFA hasn`t implemented the Virtual Assistant Referee that will probably whistled these errors. Italy and Germany federations have set all the conditions to this technology improvement fixing a few referee mistakes already. UEFA needs to get serious and make sure they evaluate the advantages of technology.